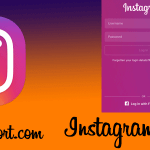 You are here: Home / Instagram / How to Log Out from Instagram? You don’t need to sign out from the Instagram app as you use it on a regular basis. Even if you want to add another Instagram account to your mobile app, you can do it without signing out from the previous account. But if you use Instagram to manage multiple accounts or you share a device with other people, then you want to learn how to log out from Instagram. For a newbie to Instagram, it’s a bit tricky to get to Instagram log out button. It’s not visible in a direct view. 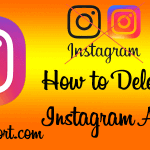 Here in this article, we guide the steps to log out of the Instagram account on different devices. Tap on your profile picture or profile icon in the bottom right corner. Scroll down to the bottom. You’ll see the option ‘Log Out of youraccountname’. If you’ve logged in with multiple Instagram accounts, then you’ll get ‘Log Out of All Accounts’ option also. Choose the option either you want to log out from a single account or all accounts signed in on the device. Tap on profile icon or pic on the bottom right corner. You’ll see a ‘Setting gear’ on the right corner of the top side, tap on it. There are various options, scroll to the end, and tap on ‘Log Out’ bottom. Now, your Instagram signout process is complete. Though signing out from mobile applications is not required, if you use Instagram from shared PC/laptop, it is recommended to log out while existing browser. Select the option ‘Log Out’. Now you are signed off from that device. 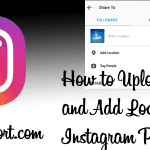 If you need to Instagram log out from the device, you no longer have access to, such as your phone is lost and you need to log out from Instagram. Or You’ve forgotten to log out from other devices. 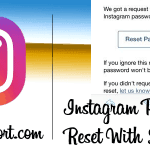 The only option is to change your Instagram password, as there is not any other way to remotely log out from Instagram. Once you reset the password, your account will be automatically signed out from all devices. You can log in with another Instagram account after signing out from your current account.